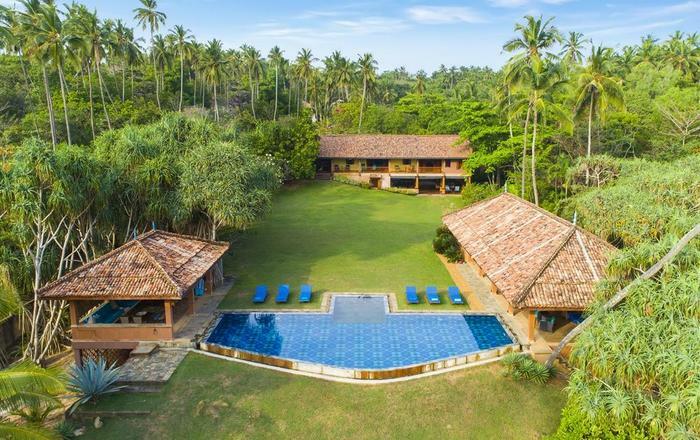 Kumara Villa is a tropical paradise at its best. 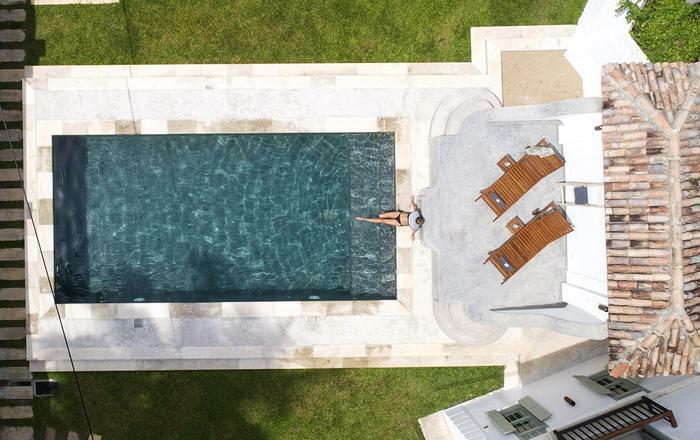 Modern, luxurious and yet retaining a distinctive traditional charm in its architecture, layout and design, the villa is an ideal base to enjoy a slightly off the beaten track holiday with lush greenery and local attractions for. 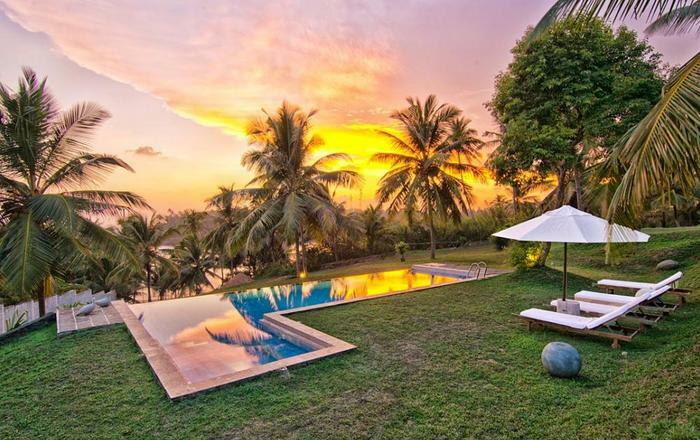 The villa enjoys a slightly elevated setting, allowing guests to take in the beautiful views of the swaying palms. 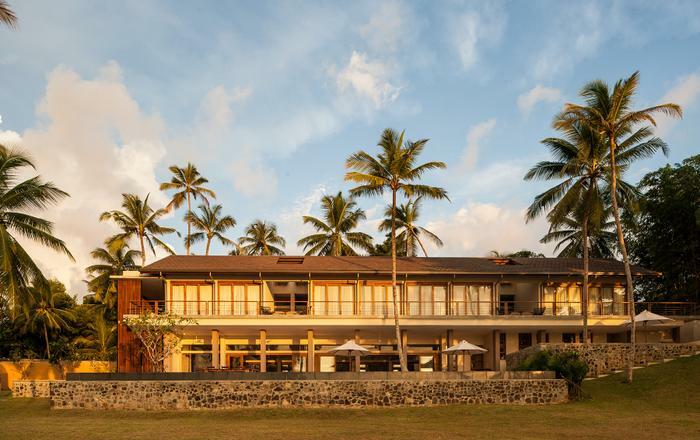 Kumara Villa itself is made up of open plan pavilions. The three king size bedroom suites are set in their own walled gardens and have their own indoor/ outdoor bathing facilities. 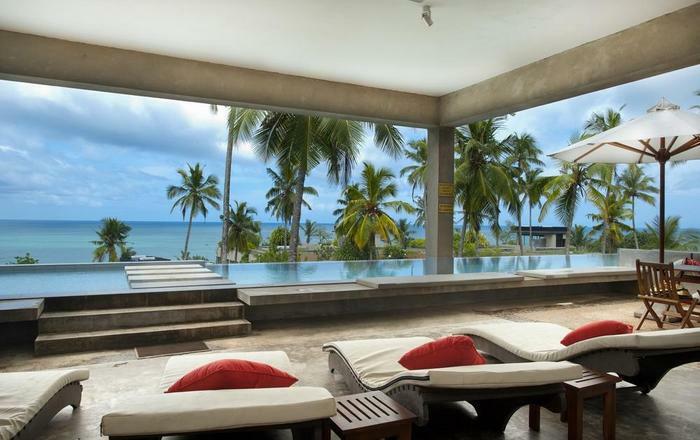 Besides, they also have large private terraces fronting the stunning tropical views. 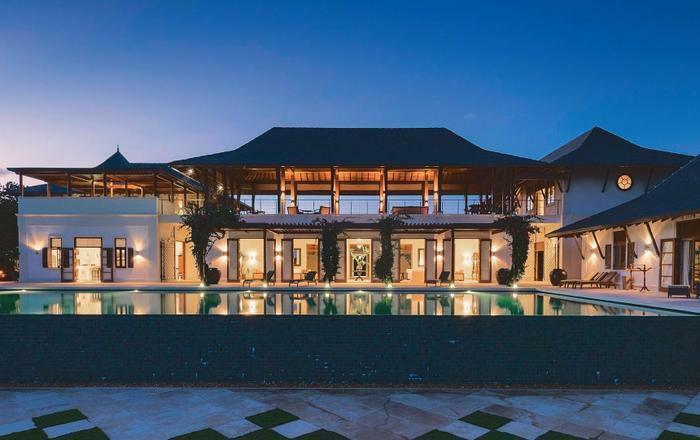 The main living pavilion has bi-fold doors and windows and opens into the beautifully landscaped gardens and the large decked saltwater pool area. 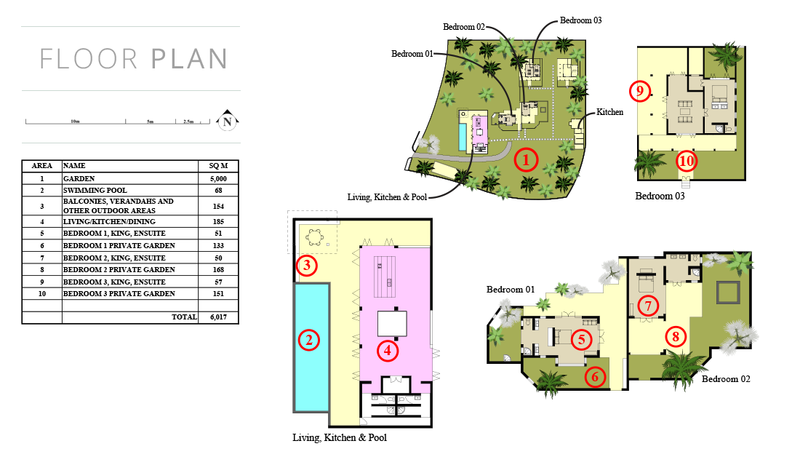 Kumara villa has a fully staffed kitchen, which is located separately from the main living room and dining pavilion. The open plan dining room has a 12 ft table with 8 chairs and bifold doors and windows allowing in the tropical breeze. The living area is comfortably fitted for relaxing, socializing and entertaining. 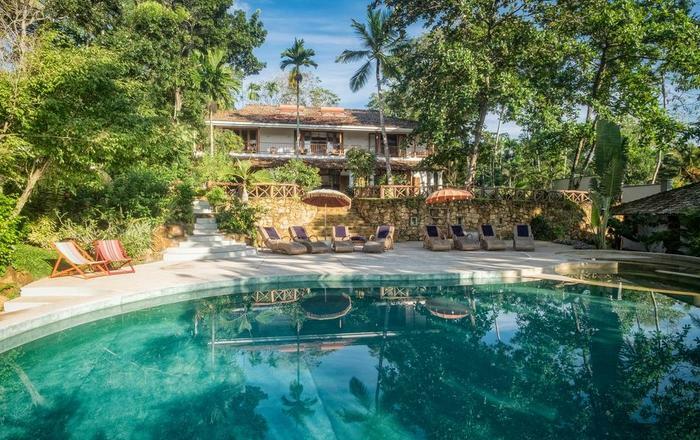 It overlooks the lush tropical gardens on one side and the shimmering saltwater pool on the other. Sun loungers decorate the poolside. There is also a pergola with shaded and cushioned seating under an antique fan. 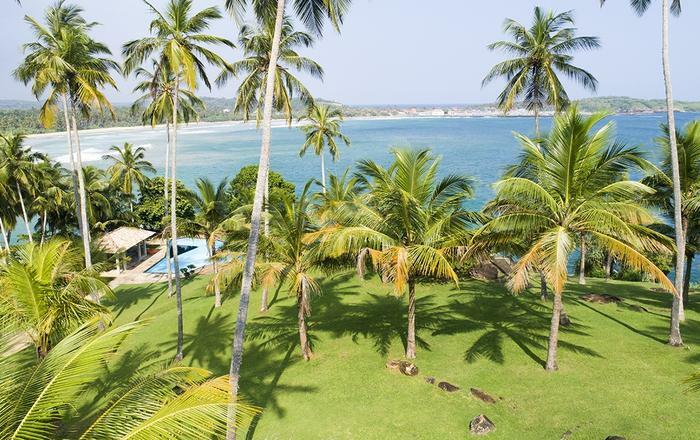 The villa is fully serviced by cooks, house girls, pool attendant, 24 hr security and a private guest manager. Rates shown are for max 8 - 6 adults + 2 children only, on rollaway beds on share basis in parents room.